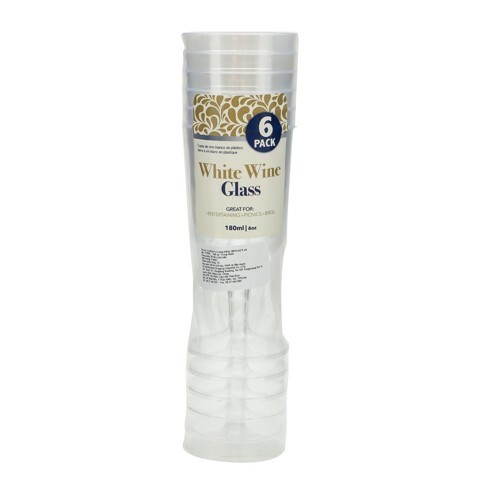 White Wine Glass 180Ml Clear 6Pk. 180mL Capacity. Clear. PS. 94g Packaging: Shrink Wrap with Colour Label.